Lady Bird is something truly special: a coming-of-age comedy so funny, perceptive, and truthful that it makes most other films about adolescence look like little more than lessons in cliché. Greta Gerwig, the one-time mumblecore starlet who wrote and directed the movie, has already established herself as a poet laureate of anxious youth, having co-authored and starred in Noah Baumbach’s bittersweet, screwball study of arrested development, Frances Ha. Plenty of what made that film wonderful—the warm affection for foibles, the lightning-quick volleys of verbiage, the nimble editing—should apparently be attributed to Gerwig as much as Baumbach, given how well-represented those same elements are here. And yet Lady Bird is its own movie, as generous as it is insightful about the strange business of growing up and into yourself. 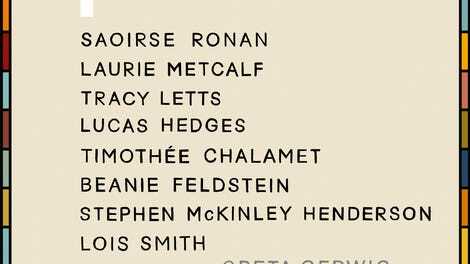 Making her solo directorial debut (she shares a credit with Joe Swanberg on 2008's Nights And Weekends), Gerwig sets Lady Bird in her hometown of Sacramento, and in 2002, when she was around the same age as her protagonist/proxy, 17-year-old Christine “Lady Bird” McPherson (Saoirse Ronan). Like a lot of teenagers, Lady Bird often seems at war with the basic facts of her life. She’s lived since birth in Sacramento (“The Midwest of California,” she calls it, and not affectionately), but doesn’t like to think of herself as a native. She wants to go to an East Coast Ivy League school, but doesn’t have the grades (or really the work ethic) to get there. And she’s embarrassed by her family’s limited means, sometimes joking about living on “the wrong side of the tracks,” other times daydreaming (and lying) about living elsewhere, in a big, multi-story house. We first meet Lady Bird on the return leg of a college visitation weekend, squabbling with her demanding, often hyper-critical mother (Laurie Metcalf, in one of her best roles in years) during the car ride back. This prickly relationship is the movie’s center, and Lady Bird finds a quick, perfect, hilarious way to immediately encapsulate their can’t-be-in-the-same-room polarity: Fed up with her mom, Lady Bird unbuckles her safety belt, opens the passenger-side door, and rolls out of the moving vehicle. She’ll wear a cast for half of the movie. It’s a symbol of her teenage rebellion, just like the eponymous nickname she invents, adopts, and insists everyone use. Set over an eventful but not extraordinary senior year at a Catholic high school, Lady Bird sends Lady Bird through familiar rites of passage. We watch as she attends dances; falls into and out of the school drama club; agonizes about college; has fun with—and then starts drifting apart from—her straight-laced best friend (Beanie Feldstein); smokes weed for the first time; fights with her family; and dips her toes into her first romance, crushing hard on both a very polite Irish Catholic boy (Manchester By The Sea’s Lucas Hedges) and a too-cool-for-school musician (Timothée Chalamet, breakout star of the upcoming Call Me By Your Name). 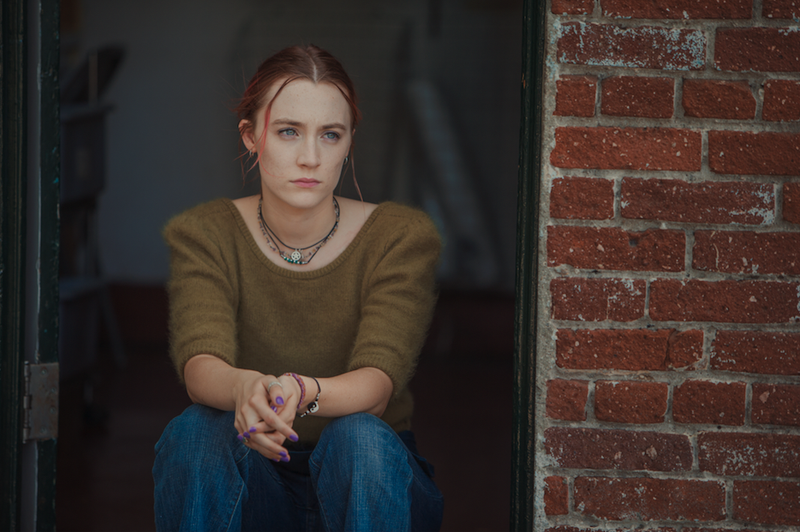 Gerwig tackles this ordinary middle-class experience—influenced, though not directly inspired by, her own Sacramento upbringing—through a fluid, intoxicating blur of montage, pulling Lady Bird forward through time. You feel things more acutely as a teenager, and Gerwig is after how high school can often look like a jagged heart monitor, all highs and lows. There are few caricatures in Lady Bird. The film surrounds its heroine with a vibrant ensemble: her warmly supportive but depressed father (playwright-turned-prolific-supporting-player Tracy Letts), the school’s reasonably understanding head nun (veteran character actor Lois Smith, who’s having a good year), the highly emotional drama instructor (fellow stage pro Stephen Henderson). But Gerwig rests much of the humor and the pathos on her star’s shoulders. Brooklyn felt like Ronan’s official passage into a grownup acting career, the completion of her real-life coming-of-age arc. But with Lady Bird, the 23-year-old pinwheels gracefully backwards into adolescence, using her expressive baby blues to create a spectrum of teenage contradiction: sarcasm and sincerity, infatuation and heartache, fiery obstinance and radiant empathy. It’s a beautiful star performance, perfectly nailing the self-consciousness of youth, in ways both amusing (her attempts at flirting are tragically you-come-here-often labored) and touching. Lady Bird, like Lady Bird, contains multitudes. Few films in recent memory devote more care to the complicated relationship between mothers and teenage daughters—a bond that Gerwig resists sentimentalizing, mostly by making Metcalf’s Marion an almost unyielding proponent of tough love and harsh honesty. Likewise, how many teen comedies address money problems at all, let alone make class insecurity—and what it’s like to grow up poor, especially when surrounded by well-off classmates—a central focus? (One of the script’s more moving touches is how Lady Bird and her mom spend their Sundays attending open houses for lavish properties they could never afford, bonding through the shared fantasy of upward mobility.) And if Gerwig isn’t reinventing the coming-of-age movie, she’s certainly investing it with uncommon wit and quotability; her dialogue hits that rare, special sweet spot between authenticity and zing—an ideal middle ground, in other words, between the way people actually talk and the gut-busting way we only want them to. “I wish I could live through something,” Lady Bird laments, moments before taking that arm-breaking tumble out onto the road. When you’re in high school, dangling on the precipice of adulthood, you spend a lot of your time looking forward, waiting for your life to begin. What’s finally remarkable about Lady Bird is how it commiserates with that itchy impatience, that desire to break out into the world, while also capturing what its title character can’t or won’t see: the brilliant extinguishing flame of her childhood. Lady Bird, at last, becomes a poignant tribute to how the beauty of a place, a time, and even a family member sometimes only reveals itself in hindsight, burning brightly in the rearview mirror. Gerwig bottles that beauty, as a gift to herself, and to us.